Ken Hughes is a research specialist with the Presidential Recordings Program of the University of Virginia’s Miller Center and the producer of Fatal Politics. This article originally ran under the title "Nixon's Biggest Crime was Far, Far Worse than Watergate." On the thousands of hours of White House tapes Richard Nixon secretly recorded, you can hear him order exactly one burglary. It wasn’t Watergate, but it reveals the real root of the cover-up that toppled a President. On June 17, 1971, (one year to the date before the Watergate arrests, by impure coincidence) Nixon ordered his inner circle to break into the Brookings Institution. “Blow the safe and get it,” the president said. “It” was a file of secret government documents on the 1968 bombing halt. “What good will it do you, the bombing halt file?” asked National Security Adviser Henry Kissinger seconds after the president ordered his top aides to commit a felony. “To blackmail him,” Nixon replied. President Lyndon Johnson had halted the bombing of North Vietnam less than a week before Election Day. Nixon claimed LBJ did it for political reasons, to throw the election to his vice president, Hubert Humphrey. Kissinger knew better, since he had inside information about the talks. Having worked on an abortive bombing halt deal for Johnson in 1967, Kissinger used his connections with LBJ’s negotiators then to gain access to the Paris talks in 1968 -- access he used as a secret informant to the Nixon campaign. Nixon had his own reasons to realize that the bombing halt file didn’t contain blackmail material on Johnson. He knew from classified briefings during the campaign that Johnson had remained unwavering in demanding three concessions: If Hanoi wanted a bombing halt, it had to (1) respect the DMZ dividing Vietnam, (2) accept South Vietnamese participation in the Paris peace talks, and (3) stop shelling civilians in Southern cities. Throughout the negotiations, LBJ didn’t budge from these three demands. Hanoi remained equally adamant, insisting on an “unconditional” bombing halt -- until October 1968. Then Hanoi suddenly reversed course and accepted all three. Johnson didn’t decide the timing of the bombing halt; Hanoi did. If the bombing halt file didn’t contain dirt on Johnson, what made Nixon want it desperately enough to risk impeachment and prison? Over the decades, evidence has slowly accumulated that Nixon had a far more compelling motive: the fear that the bombing halt file contained dirt on him. Throughout the 1968 campaign, the Republican nominee promised not to interfere with the Paris talks. “We all hope in this room that there’s a chance that current negotiations may bring an honorable end to that war,” he told the Republican convention in Miami, “and we will say nothing during this campaign that might destroy that chance.” Publicly, Nixon claimed to put the quest for peace above his own quest for votes, although it was clear that any negotiating breakthrough by Johnson before Election Day would help Vice President Humphrey’s campaign. One week before Election Day, Johnson got a tip that Nixon was trying to sabotage the negotiations. It came from a highly credible source, the legendary Alexander Sachs. Sachs entered world history when, clutching a report from Albert Einstein, he warned Franklin Roosevelt in 1939 that Nazi Germany could corner the world uranium market and build an atomic bomb, a warning that led to the Manhattan Project. Sachs was also credited with predicting the Great Depression and the rise of Hitler, so he was not someone whose warnings could be safely ignored. By that point, North Vietnam had already accepted Johnson’s terms. So had South Vietnam, privately, in meetings with the U.S. ambassador. But America’s allies in Saigon saw risk and opportunity in the upcoming U.S. presidential election. The risk was the election of Hubert Humphrey, a dove who had urged LBJ not to Americanize the war in the first place and whose supporters hoped he’d withdraw from Vietnam quickly if elected. The opportunity was to elect the premiere anti-Communist politician of the Cold War, Richard Nixon. All Saigon had to do to tip the election to their preferred candidate was refuse to take part in the Paris talks. No talks, no peace -- there could be no settlement of the war if one side of it refused to even negotiate. The hopes for peace stirred by the bombing halt would evaporate. Once LBJ received the warning from Sachs, he took a closer look at diplomatic intelligence collected by the National Security Agency (which intercepted cables from the South Vietnamese Ambassador Bui Diem in Washington, DC, to his home government in Saigon) and Central Intelligence Agency (which bugged South Vietnamese President Nguyen Van Thieu’s office). “[I am] still in contact with the Nixon entourage, which continues to be the favorite despite the uncertainty provoked by the news of an imminent bombing halt,” Ambassador Diem cabled President Thieu on Oct. 28, 1968. “I [explained discreetly to our partisan friends our] firm attitude.” The president ordered the Federal Bureau of Investigation to put a wiretap on the embassy’s phone and tail one of “our partisan friends,” Anna Chennault, the Republican Party’s top female fundraiser. It didn’t take long for the FBI to strike pay dirt. Three days before the election, the bureau sent the White House this wiretap report: “Mrs. Anna Chennault contacted Vietnamese Ambassador Bui Diem and advised him that she had received a message from her boss (not further identified) which her boss wanted her to give personally to the ambassador. She said the message was that the ambassador is to ‘hold on, we are gonna win’ and that her boss also said, ‘Hold on, he understands all of it.’” That day, President Thieu had announced that the South would not send a delegation to Paris, rendering any settlement of the war impossible for the time being and stalling Humphrey’s surge in the polls. A furious president telephoned the highest elected Republican in the land, Senate Minority Leader Everett Dirksen of Illinois, and declared, “This is treason.” He wasn’t exaggerating. The Logan Act of 1799 prohibits private citizens (including presidential candidates) from interfering with negotiations between the U.S. and foreign governments. Nevertheless, Johnson decided not to go public with what he’d learned. He had many reasons, one of which remained secret until his own White House tapes were released in the twenty-first century. The others trickled out faster: LBJ didn’t want to compromise U.S. diplomatic intelligence sources, didn’t want to cripple Nixon’s presidency before it began, and didn’t have “smoking gun” proof that Nixon himself had broken the law. Nixon, however, didn’t know that last bit, and J. Edgar Hoover gave him ample reason to fear otherwise. At his first meeting with President-elect Nixon, the 73-year-old FBI director, desperate to be reappointed to the position he’d held since the Roaring Twenties, pretended his bureau had collected more intelligence on the Nixon campaign than it really had. Hoover told Nixon that the FBI had also tapped Chennault’s home phone (in her penthouse apartment in the Watergate complex, for a second impure coincidence) and bugged Nixon’s own campaign plane. Thanks to Hoover’s charade, Nixon had reason to fear that the government’s bombing halt file contained FBI wiretap reports on any conversation Chennault had with Nixon’s campaign manager on her home phone as well as anything Nixon said on his campaign plane about sabotaging the peace talks during the final two weeks of the campaign. The FBI director emerged from the meeting with complete job security; the president-elect, with complete job insecurity. Haldeman assigned the task to an aide whose name would become notorious during the Watergate hearings, Tom Charles Huston. It was Huston who unwittingly set the President up for his fall. In March 1970, Huston reported that after “a little digging” he’d discovered that the Pentagon had done a report “on all events leading up to the bombing halt.” This report has never surfaced for the simple reason that it never existed. The people Huston named -- former Defense Secretary Clark Clifford, Paul Warnke and Leslie Gelb of the Pentagon’s International Security Affairs office -- had all been involved in an entirely different report, a massive study of Vietnam decision-making that eventually became known as the Pentagon Papers. (The Pentagon Papers do include information about the several bombing pauses LBJ had tried earlier in his administration as well as the partial bombing halt he ordered in March 1968 when he announced his decision not to seek reelection. But the Pentagon Papers end in mid-1968, long before the October bombing halt.) ISA couldn’t have done a report “on all events leading up to the bombing halt” for the simple reason that LBJ held closely all the CIA, NSA and FBI reports regarding the Chennault affair -- and then took them all with him in January 1969 when he retired to his Texas ranch. Nevertheless, Huston claimed that this non-existent bombing halt report was locked in “a DOD-approved vault” at the Brookings Institution. The young aide’s White House career really took off then. The next month, Haldeman instructed him to start meeting with intelligence chiefs about domestic terrorism. The president soon summoned the heads of the CIA, NSA, FBI and Defense Intelligence Agency to the Oval Office. He secretly established an interagency committee to identify any “restrictions” getting in the way of intelligence collection. The result was the Huston Plan, which recommended lifting restraints on wiretapping, mail opening and, yes, breaking and entering -- all in the name of combating domestic terrorism. Nixon approved the plan. J. Edgar Hoover didn’t. He raised objections with Mitchell, who was by then Nixon’s attorney general, and managed to kill the Huston Plan in 1970. If he hadn’t, his FBI agents would have been the ones ordered to burgle Brookings in 1971. The leak of the Pentagon Papers revived Nixon’s bombing halt obsession. When the New York Times started publishing excerpts on June 13, 1971, Nixon quickly jumped to the conclusion that the men who oversaw the Pentagon Papers’ creation -- Warnke, Gelb, and Morton Halperin -- were the ones who had leaked them to the newspapers. He feared that this imaginary “conspiracy” would leak his secrets next. The following year, of course, Hunt and Liddy “masterminded” the Watergate break-in. When five men in business suits and Playtex gloves were arrested at Democratic National Headquarters in the Watergate complex on June 17, 1972, Nixon had little choice but to launch a cover-up. An unobstructed investigation of Hunt, Liddy and their crew of Cuban-American CIA assets would have led back to the Plumbers; an unobstructed investigation of the Plumbers would have led back to the president’s order to break into Brookings; and an unobstructed investigation of the Brookings order would have led back to the Chennault affair. Nixon would have lost the presidency a lot faster if he had not orchestrated the Watergate cover-up. That’s why the lesson commonly drawn about Watergate -- “it’s not the crime, it’s the cover-up” -- is so wrong. The cover-up succeeded in important ways. Proof that Nixon himself ordered the Brookings break-in didn’t emerge until two years after his death, which was the only thing that ended his battle to keep the American people from hearing his tapes. While the Senate Watergate Committee caught wind of an aborted plan to break into Brookings, when Nixon adviser John D. Ehrlichman was asked if he knew who authorized it, he lied, “No, I don’t.” Ehrlichman, in fact, had been in the Oval Office when the president authorized it personally. The perjury worked. He didn’t get caught (not then, at least). The cover-up held. Imagine if it hadn’t. If America had learned in 1973 that the president had ordered the Brookings break-in himself. If the Senate had investigated that as thoroughly as it did the Watergate break-in. If investigators had looked into Nixon’s stated reason for ordering the break-in -- to “blackmail” Johnson -- and found it wanting. If they had investigated the Chennault affair. If Chennault had testified under oath to what she later wrote in her memoirs about candidate Nixon secretly making her his “sole representative” to the Saigon government before the 1968 election. If Americans had seen the FBI wiretap report of her conveying her “message from her boss” to Saigon to “hold on” three days before the election. If Ambassador Diem and Mitchell had been questioned under oath about possible Logan Act violations. The articles of impeachment drawn up against Nixon might well have included treason. And if investigators had gone after Johnson’s tapes as well as Nixon’s, we might have learned then the most tragic reason Johnson had for not revealing the Chennault affair. It can be found in a November 9, 1968, conversation between Johnson and Secretary of State Dean Rusk. “If this thing ever got out, this war is over, as far as the American people are concerned,” Rusk said. “Yes, yes, I think so,” the President replied. Think they were exaggerating? There was a lot to anger Americans, including (1) interference with a U.S. presidential election (2) by a foreign government (3) that more than 30,000 Americans had died defending (4) and in whose defense hundreds of thousands of other American soldiers were then risking their lives. This interference (5) involved sabotaging peace talks aimed at producing a settlement that would allow those American soldiers to come home. Add to that the evidence that (6) this sabotage had the secret encouragement of the presidential candidate (7) who profited from it politically in an election he won by less than 1 percent of the vote. This was a scandal that could have changed history, had it the government not kept it secret. 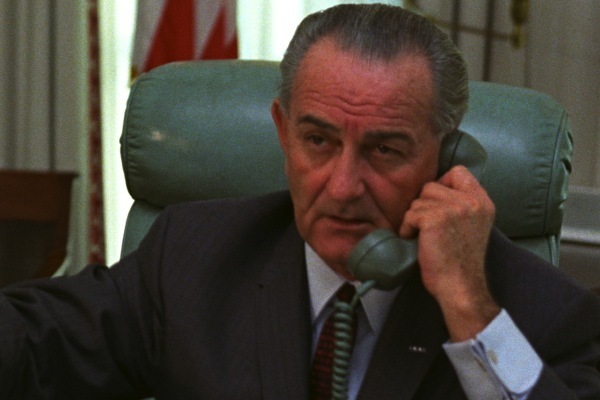 If Johnson and Rusk were right -- if exposing the Chennault affair would have ended American involvement in Vietnam -- then one result of LBJ’s silence was that it gave Nixon the chance to add four years to the Vietnam War at the cost of more than 20,000 American lives. We now know that Nixon prolonged the war because he knew he couldn’t win it. Shortly after he took office, military, diplomatic and intelligence officials informed the president that South Vietnam would never be able to survive without U.S. combat troops. Nixon kept this secret. Publicly, he claimed that his program to train the South Vietnamese to defend themselves without U.S. combat troops was working. Privately, he admitted the South likely wouldn’t survive. That’s why he spread American withdrawal from Vietnam over four years -- so Saigon wouldn’t fall before Election Day 1972, thereby denying him a second term. If America had learned in 1968 that Nixon had put politics before peace as a candidate, he might have been denied the chance to do the same thing as president. This is the greatest tragedy of the Nixon administration. While the Watergate cover-up cost the president his job, it turns out to have been his lesser offense.